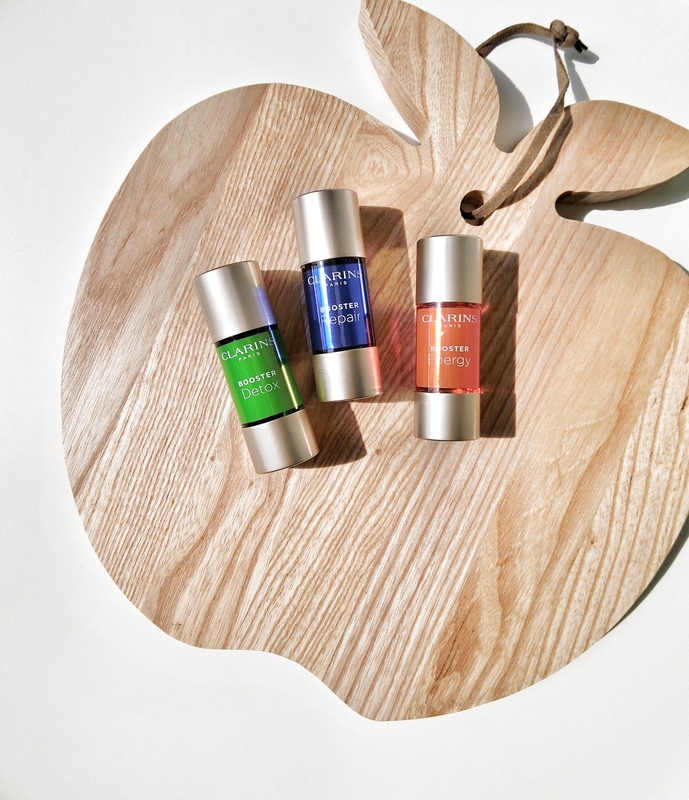 Just like how you would pop vitamin pills – or perhaps even take a vitamin shot in the arm – to get a quick charge so you can go about slaying the day; Clarins’ new Booster drops are made to give your skin that extra TLC even when you are on-the-go. Just pick the right one for your skin condition and lifestyle, add a few drops into the moisturiser or foundation, blend in your palms and apply. I really like how the watery serums are super lightweight and almost odourless. So it blends right into my regular skincare creams and foundation without changing its consistency. And yet, I get the extra skincare benefits which I feel almost immediately. After using it for the past week, my skin looks clearer and perkier; and more awake in the mornings. Because switching up your skincare routine is troublesome, just add a few drops to the ritual for maximum benefits. The Energy Booster ($65) is customised for those who are often up late, have a hectic lifestyle, jet-lagged, or on a diet. Its main ingredient is ginseng to fight skin-fatigue, add a glow, tone and re-energize. As its name suggests, the Detox Booster ($65) is for the party animal, smoker, those who live in polluted environments, and are prone to over-indulge in processed foods. The main ingredient? Green coffee to plump up skin, detox and revive it. The Repair Booster ($65) takes care of stressed and sensitised skin: sunburns, harsh climates, and hard water. Mimosa tenuiflora, a traditional Mayan herb, is added to calm and soothe, reduce redness, and strengthen skin.